The Axiom is a powerful new multifunction navigation system from Raymarine. 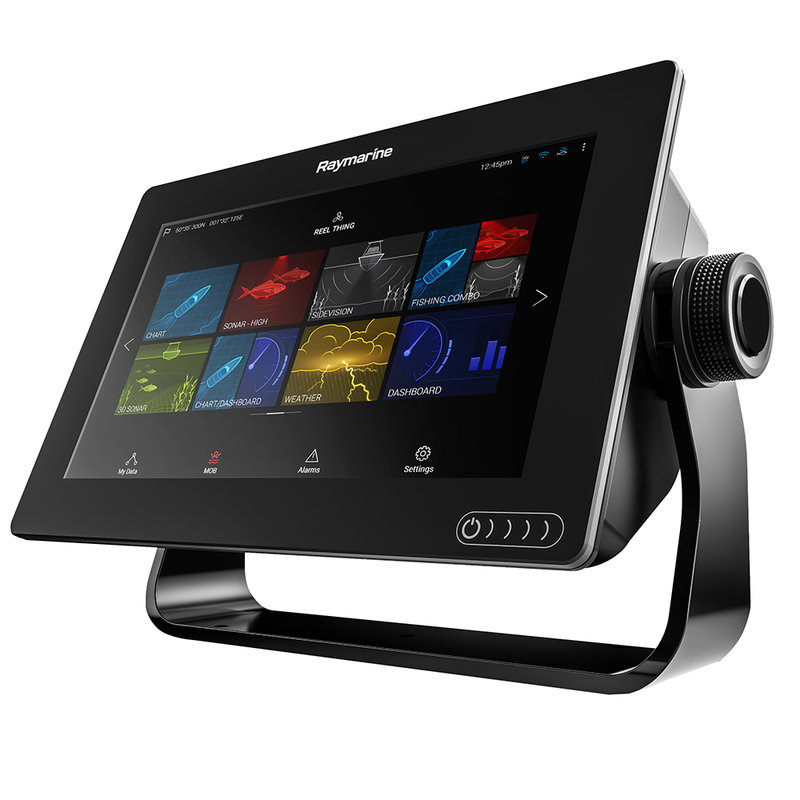 The Axiom 9 features a 9-inch glass touchscreen display with Raymarine's powerful LightHouse 3 operating system and a supercharged quad-core processor. The Axiom 9 comes with a built-in GPS receiver. It is bundled with Navionics+ Charts for North America with full coastal coverage for the USA and Canada, plus over 80,000 inland ponds, lakes and rivers. The Navionics+ charts are also compatible with advanced features like SonarChart Live and Dock-to-dock Autorouting. Axiom 9 also works with wide array of raster and vector electronic charts from C-MAP and LightHouse Charts. Axiom 9 is expandable so its capabilities can grow as needed. It supports the full range of Raymarine accessories including Quantum radar, CHIRP Sonar, SiriusXM marine weather, audio integration, instruments, cameras, and Evolution autopilot. Axiom 9 also features standard Wi-Fi and Bluetooth connectivity so it can connect with the latest Raymarine apps for tablets and Smartphones.